Yellow to Brown with white spots. Grows out of a volva like all Amanitas. 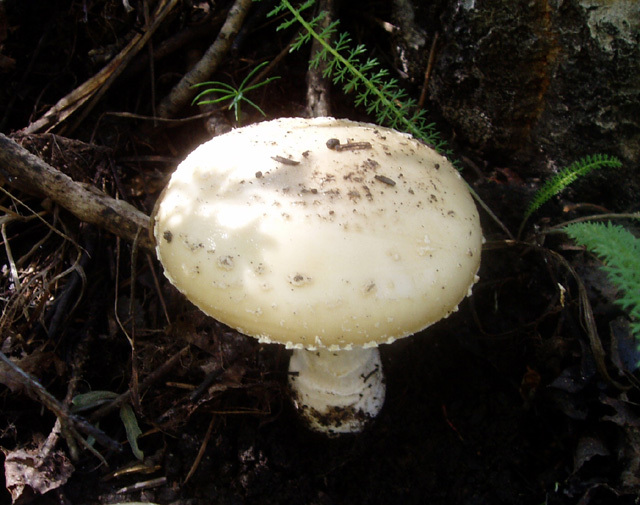 A close relative of Amanita Muscaria containing the same toxins. Sometimes used for its mind altering effects. This and other amanitas contain potentially deadly poisonous look-alikes and should never be eaten.